Katrina joined us in 2014 after a long career working for a small local dental practice as a Dental Assistant and Receptionist. 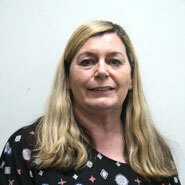 She works with us two days a week and enjoys building great rapport with our many patients. When not working at Maureen Bailey and Associates, Katrina enjoys spending time with her husband at their property in rural NSW.